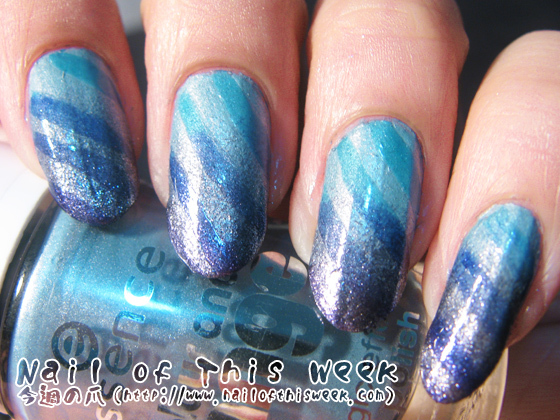 31 Day Challenge, Day 12: Stripes : Nail of This Week. 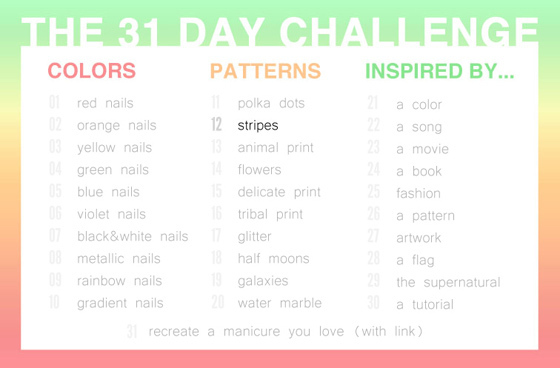 12th day, theme for today’s mani is Stripes! First of all, so sorry for imperfect finish; but also let me tell you that this is my THIRD retake. 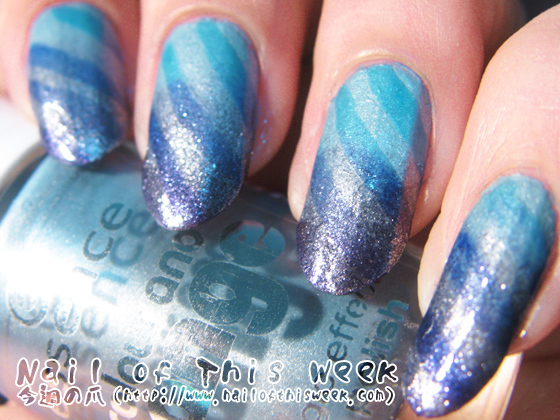 I wanted to combine color changing gradient with stripe, and in first two takes I’ve used tape for striping, applied a topcoat…and NIGHTMARE HAPPENED. First, tape stuck so strong and peeled off the layer of polishes even I’ve left it dry for few hours. Next, topcoats easily went underneath the tape and line was completely smudged. 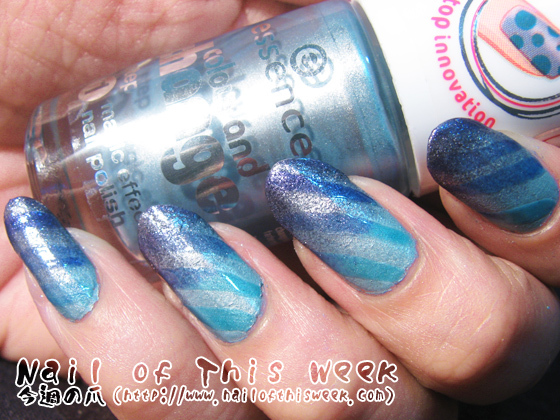 Also cleanup with acetone didn’t work well…essence’s color change polishes are hard-to-treat polish than I’ve expected. MEH. Additionally I’ve used scotch magic tape on very first take because it’s supported by lot of ppl as masking tape for mani, BUT I must say this is NOT a best tape for such a use; MY TOPCOAT MELTED DOWN THE TAPE. After I’ve covered the tape with topcoat it TORN INTO PIECES, which means some polishes can melt down this particular tape. My topcoat essence’s better than gel nail top sealer is B5F (No Formaldehyde, DBP, Toluene, Formaldehyde Resin, Camphor) so I have NO idea what melted the tape. But, FYI, please note at least it’s very possible for ANY polishes to melt scotch magic tape and create a HUGE mess.